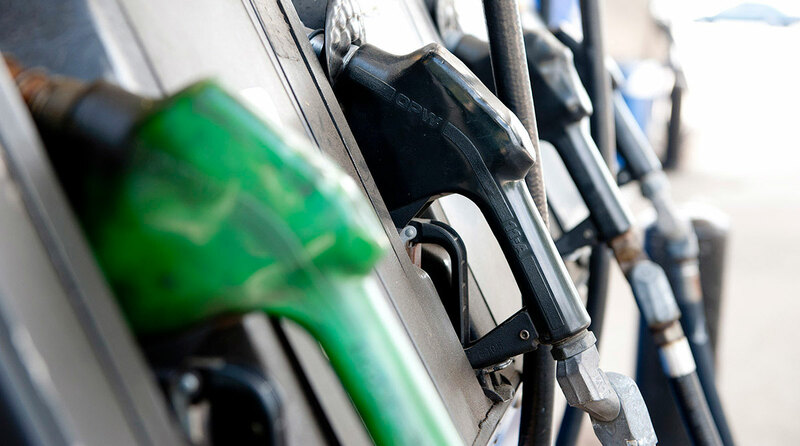 The U.S. average retail price of diesel inched down 0.3 cent to $3.223 a gallon, while crude oil prices were lower despite ongoing tensions over trade and the Middle East. Trucking’s main fuel costs 64.2 cents a gallon more than it did a year ago, when the price was $2.581, the Department of Energy said Aug. 6. Averages fell in all regions except the Central Atlantic, where the average rose by 0.3 cent to $3.393 a gallon, and in the Rocky Mountain area, where it was unchanged at $3.361. The national average price for regular gasoline rose 0.6 cent to $2.852 a gallon, DOE’s Energy Information Administration said. The average is 47.4 cents higher than it was a year ago. Distillate fuel production increased the week ending Aug. 3, averaging 5.2 million barrels per day. Distillate fuel primarily is ultra-low-sulfur diesel used in transportation and to a lesser degree as heating oil. Average gasoline prices fell in the Gulf Coast and West Coast regions but rose elsewhere. Gasoline production decreased, averaging 9.9 million barrels per day. EIA expects that 2018 monthly average gasoline prices peaked in May and forecasts prices will remain relatively flat in the coming months, averaging $2.83 a gallon in September. Longer term, EIA pointed to uncertainty in crude prices, which control the price of fuel. Daily and monthly average crude oil prices could vary significantly from annual average forecasts because global economic developments and geopolitical events in the coming months have the potential to push oil prices higher or lower, according to EIA. Vehicle Tracking Solutions, a provider of data-driven fleet management software, outlined in a whitepaper some proactive steps fleets can take as they deal with fuel expenses accounting for up to 40% of operating costs. Driver behaviors such as idling, hard braking, excessive speeding and rapid acceleration can lead to excessive fuel consumption. They are actions a driver can control and that should be monitored and improved with driver safety training, according to the Commack, N.Y.-based company. Keeping engines properly tuned, using recommended motor oil, making sure tires are properly inflated and replacing old or clogged air filters are other steps fleets should take, VTS noted, citing DOE. ACT Research Co. pointed to a potentially different future, albeit several years out, when it comes to powering commercial vehicles. It expects commercial electric vehicles to grow from a small beachhead today to a significant share of the Classes 4-8 market in the next decade. Market shares could climb to about 20% for medium-duty and double digits for Class 8 as a “most likely” case by 2035, according to ACT. If oil and diesel prices escalate again — as they did in 2005, 2009 and 2011 — ACT expects market take rates for CEVs could get to one-third or higher, depending on the segment. “We believe that electrification will offer a competitive solution for an increasing number of commercial vehicle segments as we look to the decade ahead and beyond,” Jim Meil, principal industry analysis for ACT, said in a statement. The impetus will be a combination of advances in battery technology, environmental considerations and government policy and the potential for significant operational cost savings, according to ACT. “Initial adoption will likely be in shorter-range hauls with frequent stops and starts, regular and predictable routes, and daily return-to-base for overnight charging types of operations. Early adopters will tend to be in medium-duty and highly specialized Class 8 applications that make the current limitations of battery storage technology more manageable,” Meil said. Crude oil futures trading on the New York Mercantile Exchange closed Aug. 6 at $69.26 per barrel compared with $70.13 on July 30. EIA forecasts WTI crude oil prices to average more than $64 a barrel in 2019. Saudi Arabia — the world’s largest exporter of crude oil — curbed output last month, according to OPEC delegates, following signs that the kingdom couldn’t find enough buyers to justify elevated rates of production. The fear is China friction related to higher tariffs will slow global economic growth and reduce fuel demand.